Thesis 2 does not use theme locations when creating its menus, so unfortunately UberMenu can’t automatically replace them. I’ve written a custom Thesis Box that will allow you to drag and drop UberMenu 3 into your Thesis templates. 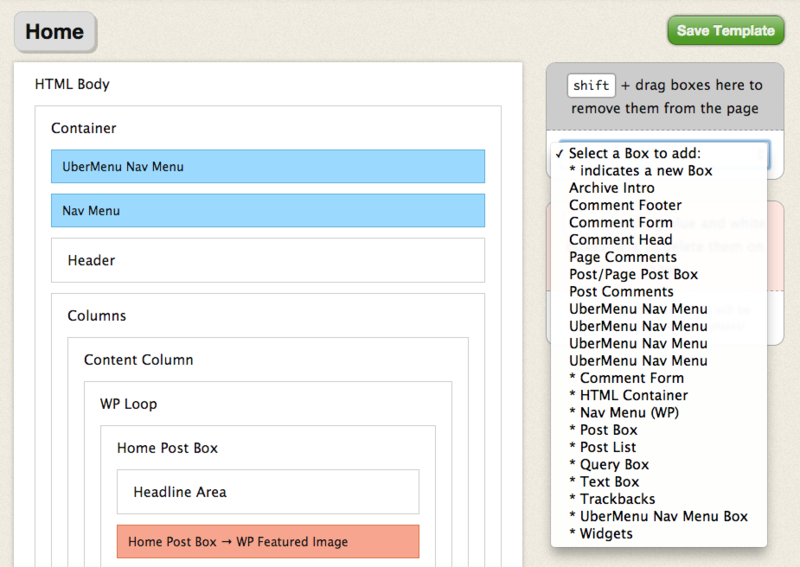 In your WordPress admin, go to Thesis > Manage Boxes. Click Upload Box. Select the zip you downloaded and upload it to Thesis. Go to the Thesis skin editor, and add the new “UberMenu Nav Menu Box”. Drag it into your template. You can configure its settings (similar to the UberMenu widget) if necessary. Remove the original menu (“Nav Menu”) from the layout.